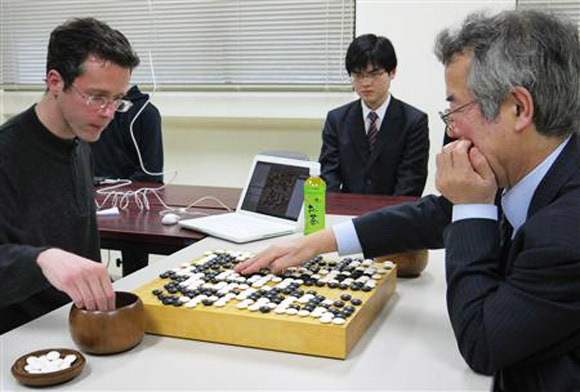 Gu Li 9p (right) chalked up his first win in the MLily Gu vs Lee jubango, forcing Lee Sedol 9p to resign in game 3 on Sunday, March 30. Lee and Gu faced one another in Chengdu – the capital city of Sichuan, China – having traveled straight there after their game at the 10th Chunlan Cup two days earlier. After Lee won game 2 of this historic jubango in February, he led the 10 game match 2-0. 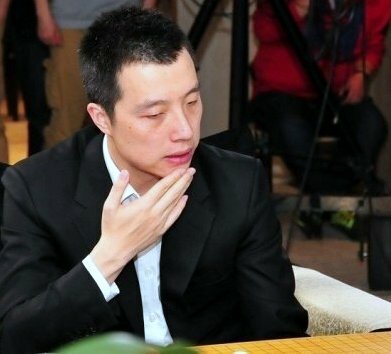 Since Gu lost game 2 in regrettable circumstances, many go fans reasonably surmised that Lee would have the psychological advantage going into the third game, but over the last week, Gu defeated Lee in the 4th Zhaoshang Cup (a China vs Korea team tournament) on March 23, and followed it up with another win at the 10th Chunlan Cup on the 28th, which may have helped to restore Gu’s confidence. The win is heartening not only for Gu, of course, but for go fans worldwide who are doubtless hoping the jubango will go the full 10 games. - Based on Go Game Guru’s report, which includes the game record and An Younggil 8p’s brief analysis. Possible New York City uses for this cash windfall include museum entry, cab fare, hot dogs, pretzels with mustard, lemonade, pizza slices “or oysters,” says Okun, noting that author Mark Kurlansky has argued that New York should really be called “The Big Oyster”. Oysters used to be plentiful in New York, and when European settlers first arrived, it is estimated that half of the oysters in the world were in New York’s harbors, inlets and riverbeds. Although that’s no longer the case, “$50 should get get you a dozen Blue Point oysters, a bowl of clam chowder and two beers at the Oyster Bar in Grand Central Station,” Okun says. One payment per credit card. The AGA affinity card is a no fee credit card, “so it costs you nothing to apply and use the card,” says Okun. The AGA receives a one-time payment of $50 the first time you use it and a percentage of your spending on the card thereafter. Click here to apply for the card and here to register for the Congress. 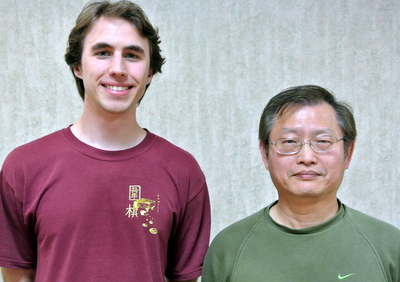 Matthew Burrall 6d and Tai-An Cha 5k topped their divisions in the Davis/Sacramento Go Club’s Spring Tournament at the Arden-Dimick library in Sacramento on March 29, 2014. There was a field of 17 players ranging in strength from about 20 kyu to 6 dan. “This was the largest number of player that we have had at one of our tournaments in quite a while,” reports Willard Haynes. The annual NOVA Cherry Blossom tournament was held on Saturday, March 29, at George Mason University Law School in Arlington, VA. Thirty-nine players participated, including long-distance commuter Paul Celmer from North Carolina. “A special visitor was Mr. I. Moon, Chairman of the Board of the Fairfax County Board of Education, who is promoting go and recruiting go teachers for his elementary schools,” reports organizer Allan Abramson. Reach Moon at IMoon@fcps.edu. Go Quiz: Best Western Go Reference? THE LITTLE RED BOOK: For many, this volume of the Elementary Go Series (available from Kiseido and SmartGoBooks) was the book they were waiting for – the book that taught the West how to fight. Rarely a day goes by without someone responding to a query on KGS with the simple directive “Read Attack and Defense”. When your quizmaster did a poll on the best English-language go books, Akira Ishida and James Davies’ effort received many praises. 13 out of 17 of you read the position correctly. 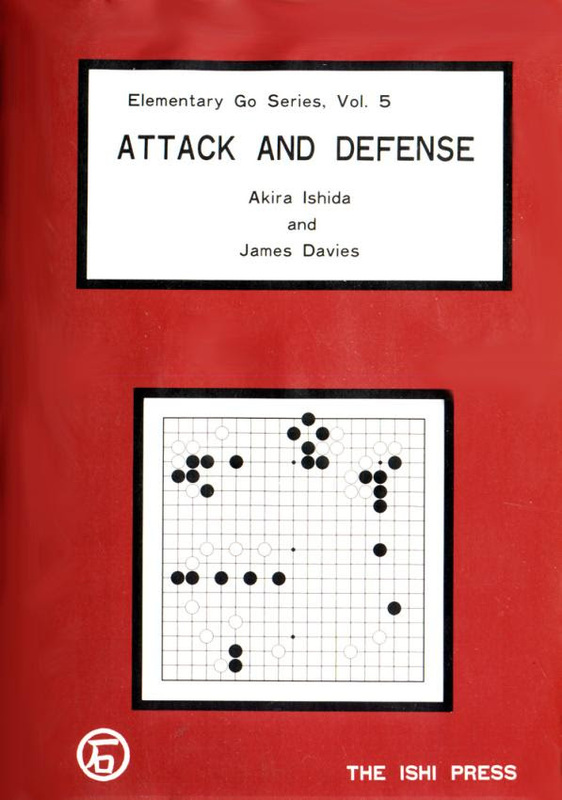 As for those who consult his joseki dictionary regularly, you are better players than your quizmaster, for you open your go books and do not simply look at the covers, but a look at the cover of “The Dictionary of Basic Joseki” will show that it was authored by Ishida Yoshio (and translated by John Power). For your information, the two “fors” in sentence one, four and five of this week’s column are for Roland Crowl, who pointed out my egregious grammatical error in last week’s question and missed by my editor. Congratulations to Reinhold Burger of Waterloo, Ontario, Canada, this week’s winner, selected at random from those answering correctly. 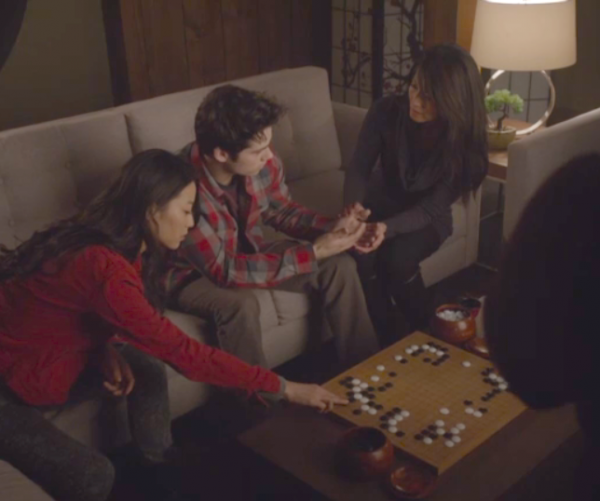 THIS WEEK’S QUIZ: Speaking of polls, this week, in celebration of go’s prominent role on MTV’s Teen Wolf, as covered in the E-Journal, let’s hear from you on what you think is the best Western cultural reference to go. We will limit the answers to English language and it must be something featuring or mentioning go, but not directly about go or go instruction. And it needs to be original – so the obvious choice of Hikaru No Go does NOT qualify. I will judge the best response on such objective criteria as coolness, popularity, appropriateness and correctness of the reference. This can be books, TV, movies, advertising or news events. Click here to submit your nomination; I look forward to hearing from all of you. - Keith Arnold, HKA, EJ Quizmaster. Myungwan Kim 9P will do live audio commentary on this weekend’s Lee Sedol – Gu Li Jubango on KGS. His commentary, with James Kim 1d, will start at 8p PST (11p EST) on Saturday, March 29. As previously reported (Gu Li & Lee Sedol Face Off in Jubango Game 3 This Weekend 3/27 EJ), Go Game Guru’s An Younggil 8p will also be commenting the game on Baduk TV Live. “This third game will be very important for Gu Li,” Kim tells the E-Journal. “If he loses it will be very difficult for him to catch up. “With Lee leading 2-0, Gu should have a lot pressure on this game and needs to overcome it. 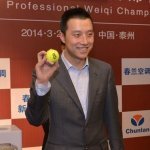 I hope Gu Li can win and make the series more exciting.” Kim notes that the two are playing a game at Chunlan Cup on Friday, March 28, which may affect the jubango game. 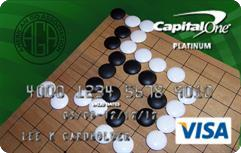 Gu Li will be looking to begin erasing his 2-game deficit Game 3 of the Lee Sedol – Gu Li Jubango this weekend. Gu beat Lee in Round 2 of the just-concluded Zhaoshang Cup on March 21 (Korea wins 4th Zhaoshang Cup by a whisker GGG 3/24/2014), and is playing him again in Round 2 of the Chunlan Cup but Lee leads 2-0 in the jubango. Live coverage with commentary of the match will start on Baduk TV three hours after the first move is played. The commentators will replay and analyze the game from the beginning and Go Game Guru’s An Younggil 8p will translate and discuss the game in English with Baduk TV Live viewers. The coverage starts at 1:00 pm Korea time on Sunday, March 30 (Midnight Sunday morning EST). You can watch the game on Baduk TV for as little as $2.70 with a Baduk TV Day Pass.